Quick Chip 1.0 165mm is a low-melting In & Bi brazing alloy which ,elts at 58 ° C. Applying the CHIP QUIK to the outlets, heating them with a solder leads to the formation of a low melting melt on which the SMD integrated circuits make it easy to scratch and remove the circuit from the printed circuit board. 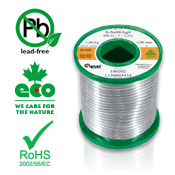 Solder S-Sn60Pb40-SW26 (LC60) Q 0.25 100g is solder manufactured in the first melt of tin and lead according to PN EN 29453:2000 standard in continuous casting process in air-free environment; afterwards extruded, in order to eliminate oxide occurrence. 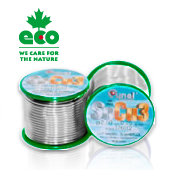 Solder S-Sn60Pb40-SW26 (LC60) Q 0.38 100g is solder manufactured in the first melt of tin and lead according to PN EN 29453:2000 standard in continuous casting process in air-free environment; afterwards extruded, in order to eliminate oxide occurrence. Solder S-Sn60Pb40-SW26 (LC60) Q 0.56 100g is solder manufactured in the first melt of tin and lead according to PN EN 29453:2000 standard in continuous casting process in air-free environment; afterwards extruded, in order to eliminate oxide occurrence. Solder S-Sn60Pb40-SW26 (LC60) Q 0.70 100g is solder manufactured in the first melt of tin and lead according to PN EN 29453:2000 standard in continuous casting process in air-free environment; afterwards extruded, in order to eliminate oxide occurrence. Solder S-Sn63Pb37-SW26 (LC63) Q 0.70 100g is manufactured in the first melt of tin and lead according to PN EN 29453:2000 standard in continuous casting process in air-free environment; afterwards extruded, in order to eliminate oxide occurrence. 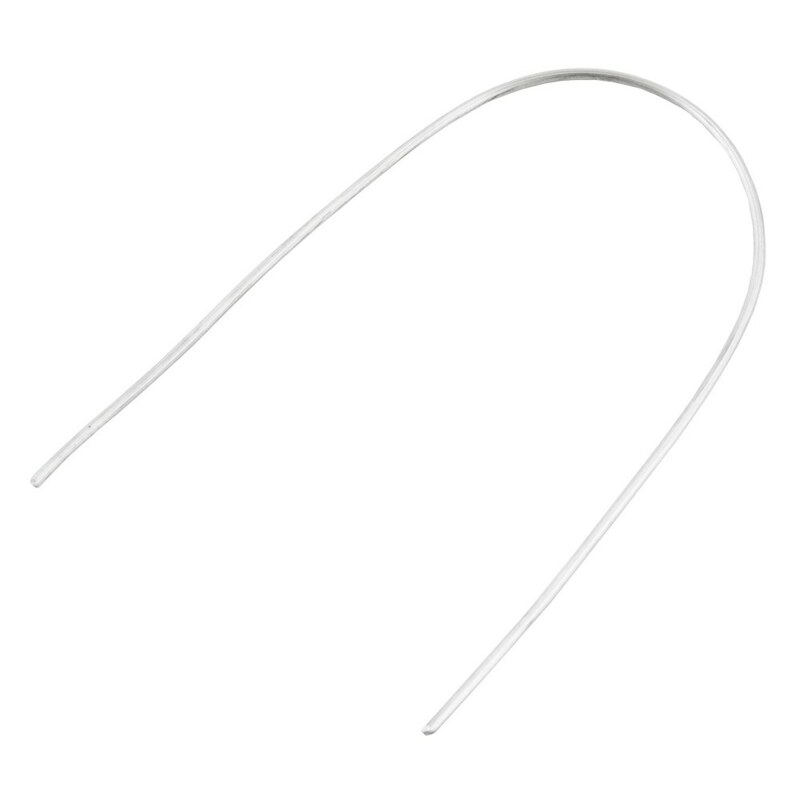 Solder S-Sn97Cu3-B/T Q 2.00 100g is manufactured in the first melt of tin and copper according to PN EN 29453:24 standard. Designed for soldering at higher temperatures, also for flame soldering and soldering in the solder heaters (soldering pots). Solder S-Sn97Cu3-B/T Q 3.00 100g is manufactured in the first melt of tin and copper according to PN EN 29453:24 standard. Designed for soldering at higher temperatures, also for flame soldering and soldering in the solder heaters (soldering pots). Solder S-Sn99Cu1-1.1.3 Q 0.56 100g manufactured in the first melt of tin and copper according to PN EN 29453:24 standard in continuous casting process in air-free environment; afterwards extruded, in order to eliminate oxide occurrence. 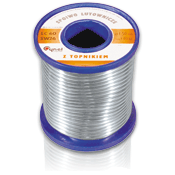 Popular soft solder, used as a low-cost replacement for lead-tin solders. Solder S-Sn99Cu1-1.1.3 Q 0.70 100g manufactured in the first melt of tin and copper according to PN EN 29453:24 standard in continuous casting process in air-free environment; afterwards extruded, in order to eliminate oxide occurrence. 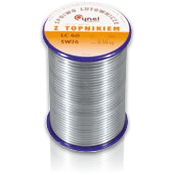 Popular soft solder, used as a low-cost replacement for lead-tin solders. Solder SAC 0307 S-Sn99Ag03Cu07-1.1.3/0.56 100g is S-Sn99Ag0,3Cu0,7 solder manufactured in the first melt of tin, silver and copper in continuous casting process in air-free environment; afterwards extruded, in order to eliminate oxide occurrence. Designed as an economical replacement for the solder alloy Sn63Pb37, consistent with the guidelines of the RoHS Directive. Specially selected trace elements of metals improves dispersed, weld appearance and protect against rapid oxidation during the soldering process. Solder SAC 0307 S-Sn99Ag03Cu07-1.1.3/0.70 100g is S-Sn99Ag0,3Cu0,7 solder manufactured in the first melt of tin, silver and copper in continuous casting process in air-free environment; afterwards extruded, in order to eliminate oxide occurrence. Designed as an economical replacement for the solder alloy Sn63Pb37, consistent with the guidelines of the RoHS Directive. Specially selected trace elements of metals improves dispersed, weld appearance and protect against rapid oxidation during the soldering process. Solder SAC 400 S-Sn96Ag4-1.1.3 Q 0.56 100g is S-Sn96Ag4 solder manufactured in the first melt of tin and silver according to PN EN 29453 (alloy 701) standard, in continuous casting process in air-free environment; afterwards extruded, in order to eliminate oxide occurrence. Intended for soldering and as a correction solder alloy to the solder SAC405. Solder SAC 400 S-Sn96Ag4-1.1.3 Q 0.70 100g is S-Sn96Ag4 solder manufactured in the first melt of tin and silver according to PN EN 29453 (alloy 701) standard, in continuous casting process in air-free environment; afterwards extruded, in order to eliminate oxide occurrence. Intended for soldering and as a correction solder alloy to the solder SAC405. Solder SAC305 SnAg3Cu0,5-1.1.3 Q 0.70 100g is manufactured in the first melt of tin, silver and copper according to PN-EN ISO 9453 standard in continuous casting process in air-free environment; afterwards extruded, in order to eliminate oxide occurrence.